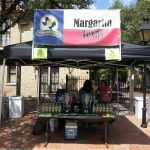 We have always enjoyed sampling infused tequilas and mixing them into margaritas. This process is rather easy and it typically does not take a long time to achieve the desired flavors. 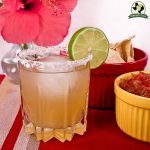 We decided to take this idea in a different direction and infuse our award winning Margarita Texas Mix instead of the alcohol. 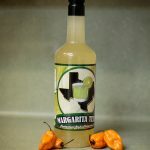 Our mix is less expensive than a bottle of tequila so you are out a smaller investment if you do not like the flavors produced during the infusion. 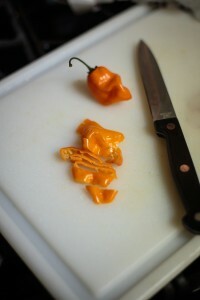 First, we cut and removed the seeds from two habanero peppers. We recommend using gloves as habanero peppers enjoy leaving a lasting burn on your skin even after simply washing with soap. The peppers were cut into small enough pieces as to be easily inserted into the bottle opening. The seeds and stems were removed as well. 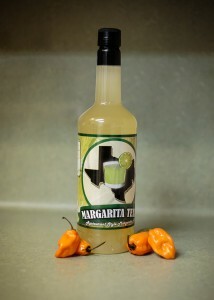 Next, place the peppers into the margarita mix and let sit in the refrigerator to work its magic. 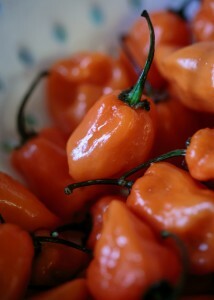 We used two habanero peppers per bottle to achieve the desired heat we were seeking. 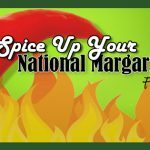 After about 24 hours, you will have a fiery concoction that can be used to spice up your favorite margarita. Some other possible infusions could include lavender, fruits or other combinations of herbs and spices. The choices are endless and you can even combine items to produce unique flavors. What would be some of your favorites?